Illuminate your driving experience with powerful Anzo black crystal U-bar headlights. 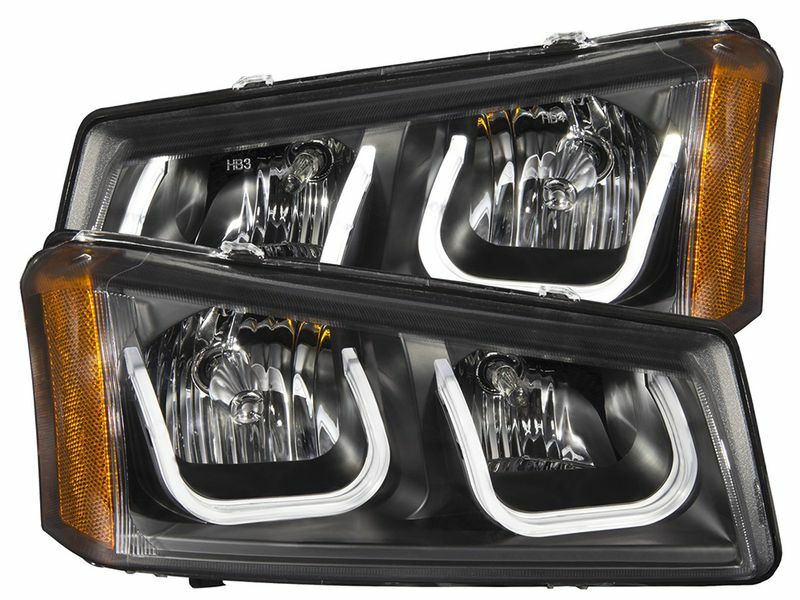 These headlights are engineered to improve your nighttime vision and your vehicle's look. These headlights are brighter than your faded factory lights and will make you more visible to oncoming traffic. Also Anzo black crystal U-bar headlights have a U-bar halo built-in. Anzo has designed their headlights to be installed easily without any drilling or complicated wiring, they simply bolt into the factory holes and plug into your existing lighting system. All lights have been tested and either meet or exceed quality standards for original equipment manufacturers. Light up the night with your own set of cutting edge Anzo black crystal U-bar-headlights, you'll be the envy of the neighborhood and the quality won't disappoint either! Installing the Anzo black crystal U-bar headlights is easy, with no drilling, cutting, or special tools, needed. It is just a simple bolt-on, plug-n-play installation taking only about 10 minutes. If you have any questions please let our amazing customer service team know.